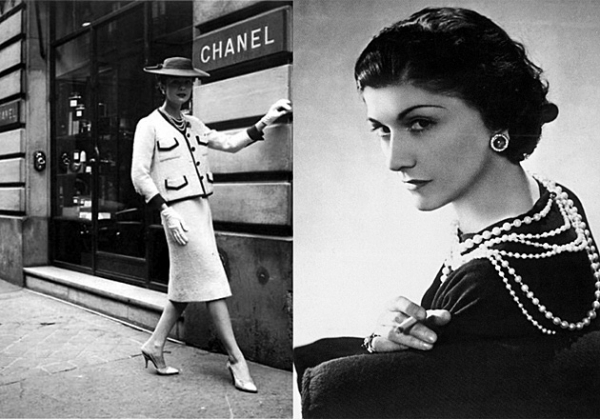 Coco Chanel not only created the fashionable and immortal suit and "little black dress" but she made women believe that they can live their own lives, they can be independent and wear clothes according to their own preferences. So powerful was Coco Chanel's influence that today, a bottle of Chanel No. 5 is sold every 30 seconds. Now, that's influence! Coco set out to conquer the world. She showed women they could be comfortable and still look elegant. Famous for her saying, "In order to be irreplaceable one must always be different," This became Coco Chanel's secret of influence to women everywhere. Is it the right message? Does it work for or against you? What influences your choice of wardrobe? How do you use the power of your clothes? Your answers to these questions are valuable in making an impression - influencing an outcome - or persuading a thought. Women in positions of influence, from Wall Street to Washington, face the fashion police every day. For these women fashion and clothing choices are serious business. But is it any less important for the Mompreneur or the woman teaching third graders? No. Choosing the right clothes for your personality and the situation is one thing you have control over. Make a note of the clothes you have in your closet. Seriously, go through your wardrobe answering these three questions: How do I feel in this? (not only comfort-wise but emotionally). What am I expressing when I wear this? (try it on then stand in front of the mirror). And, finally, is it me? Now, here's the key - the answers to these questions should support each other - at least be in tune. If not, it's time to drop it off at good-will, then go shopping! Women are scrutinized very differently than men. No surprise! Carly Fiorina, author of "Tough Choices," writes, "while being interviewed by an editor at Business Week during her first month as chief executive of technology at Hewlett-Packard, the first questioned asked, (even though HP was in the midst of a major technology revolution) was, 'Is that an Armani suit you're wearing?'" Now, I ask you - who in their right mind would think her clothes takes precedence over her solutions for a massive technology upheaval? Would an editor ask Bill Clinton, are you wearing Givenchy, while in the middle of peace talks? The spotlight on women's clothes and style echoes people's uneasiness in coming to terms with women who have real power. Your image evokes emotions - in others. Even though you see with your eyes, the actual impression or image is perceived by your mind. For instance, Tony Kornheiser sparked outrage when he told the world, Hannah Storm, 47, was too old to wear flashy red go-go boots, a short skirt and a top that was 'so tight that she looked like she was wrapped in sausage casing.' Yes, he had a major emotional outburst and was suspended by ESPN for two weeks. So, what are the unwritten clothing rules for women at work? Hmmm . . . I wonder who wrote these rules? While it may be true that what you wear doesn't define you as a person, what you wear is an expression of who you are, so choose wisely. When you choose your next outfit, think carefully about what you wish to tell others, about your mood, your personality, and your ambitions. Here's MY secret to classic influence, "Whatever bait you use determines the type of fish you'll catch." Coco, see what you started?